THE people of Koroba, Hela, Papua New Guinea are preparing themselves for what will be the biggest change and challenge of their life, the Post Courier reports. This follows overseas media reports of a successful finding by Oil Search and Santos of a possible PNG Gas deposit that could power the PNG LNG plant. According to The Australia, Mining and Energy news, Oil Search and Santos have discovered $US14 billion ($19.4bn) of gas in the Papua New Guinea highlands in a finding that could underpin a fifth liquefied natural gas production train at the recently started PNG LNG plant and has excited their giant partner ExxonMobil. The discovery which was termed as Muruk, comes little more than two months after Santos bought into the prospect for an undisclosed amount, making it a welcome piece of good news for managing director Kevin Gallagher as he tries to return investor appeal to the embattled Adelaide oil and gas producer. 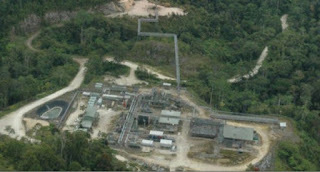 Oil Search and Santos, partners with Exxon in PNG LNG, both made relatively staid announcements about the Muruk discovery, which is now thought to hold about two (2) trillion cubic feet of gas and is understood to have been viewed internally as having a one-in-five chance of success. This would be impacted representatives of Muruk gas discovery in Petroleum Prospecting Licence (PPL) 402 in Hela Province have launched an interim umbrella company "Muruk Development Cooperation" to represent all landowner business interests during the exploration and development of Muruk petroleum resources. This interim umbrella company was initiated by representatives of immediate impacted clans of current Muruk gas discovery wellhead and later to be extended to include those other clans within the declared location and within the perimeters of the Petroleum Development Licence (PDL). Six members of the principal landowners of the Muruk gas were in Port Moresby to register their umbrella company when this paper followed closely after citing the news that broke out in the overseas media.